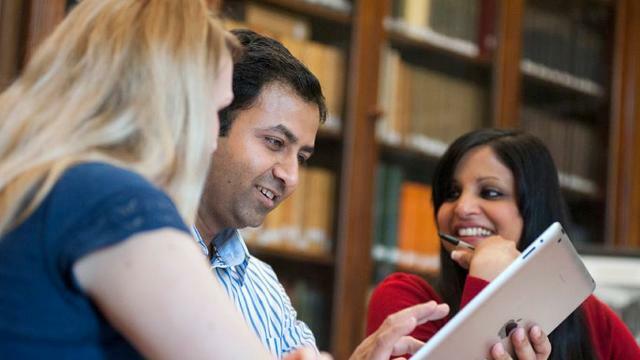 Why University of London International Programmes? Whatever your location, you can gain a valued qualification from the University of London by joining this programme. The university offers a wide range of undergraduate (Bsc, BA, LLB) and postgraduate (MA, MSc, LLM, MBA, Mres) programmes, as well as foundation courses, diplomas and certificates. You can choose how to pace your studies. You can study independently by distance learning, or attend face-to-face classes at a local teaching institution. You will also have free-of-charge access to the university's online library 24 hours a day, seven days a week. Library resources include more than 5 million academic journals, professional legal databases and a collection of e-books. You will also be sent course materials by post. The University of London is one of the world's leading academic institutions, internationally recognised as a centre of excellence. More than 50,000 students in 180 countries are currently participating in more than 100 different courses, ranging from social sciences to law to health. You can achieve a prestigious qualification which will be valued globally. This reputation is based on the impressive track record of the Colleges of the University of London, which have an international standing for their teaching and research. Former students have won Nobel Prizes, governed countries and written great works of literature. They also work in education, banking and the legal profession, or as business leaders and managers. "I was attracted to the University of London because it is very prestigious and the International Programmes are independent in nature. I really liked the fact that I did not have to attend any hectic university lectures and also follow any strict timelines for submitting assignments. The course was very flexible and hence I could fulfil other day-to-day commitments while studying my degree." Nelson Mandela spent many of his 27 years of imprisonment studying law through the University of London International Programmes. The university is trialling new ways of delivering undergraduate law teaching materials through a 'virtual classroom', using Blackboard Collaborate web conferencing software.